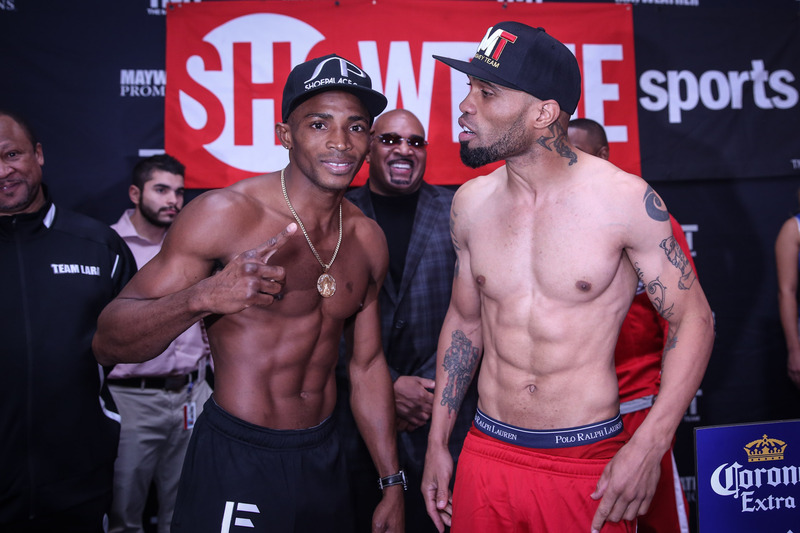 Weigh-in results and prediction for Erislandy Lara vs. Ishe Smith. 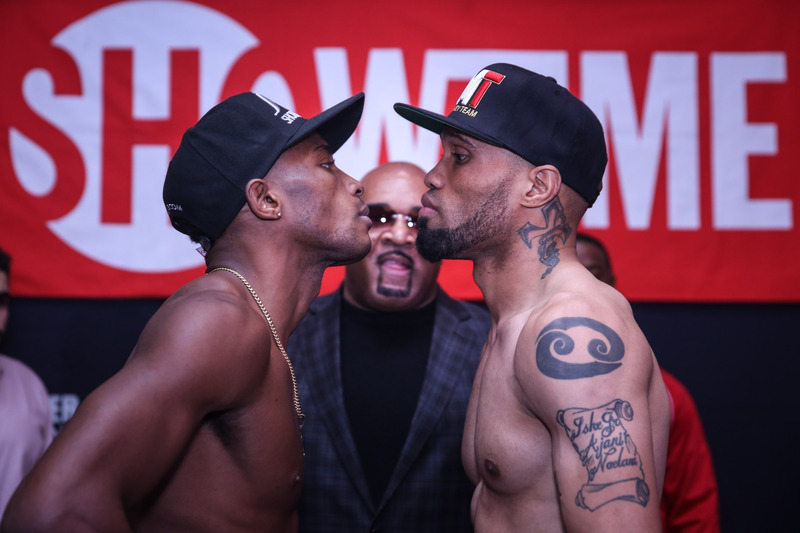 SAN ANTONIO, TX — Former world title-holders Erislandy Lara and Ishe Smith both made weight and engaged in some last-minute trash-talk before their Showtime main event on Friday night (10:15 p.m.). The triple-header is supported by Badou Jack vs. Francisco Sierra, and Chris Pearson vs. Steve Martinez. PREDICTION: I still have a sour taste in my mouth with Lara for how he fought the Canelo match. Yes, I expected movement. But the Cuban stylist literally ran away from a defining unanimous victory. That performance has landed him in a fight against Ishe Smith, a fighter desperate to get back into the title picture after losing a decision and his IBF junior middleweight strap last year to Carlos Molina. On paper, Smith has two attributes that could trouble Lara — physical strength and mauling. Smith is the anti-thesis of his “Sugar Shay” nickname in that his fights are normally clinch-filled affairs. Lara famously had immense struggles in that department when he faced Carlos Molina back in 2011 and escaped with a dubious majority draw. The problem for Smith is that Lara’s tools cancels out his best chance to win. Smith doesn’t have a big punch, so Lara will be able to sit down on his shots more as opposed to the constant movement he displayed against Canelo. Lara has the faster hands, is the more accurate puncher, and possesses better defense. Smith will get beat to the punch every time he tries to box at ring center, and he’s too slow of foot to really cut off the ring on Lara.